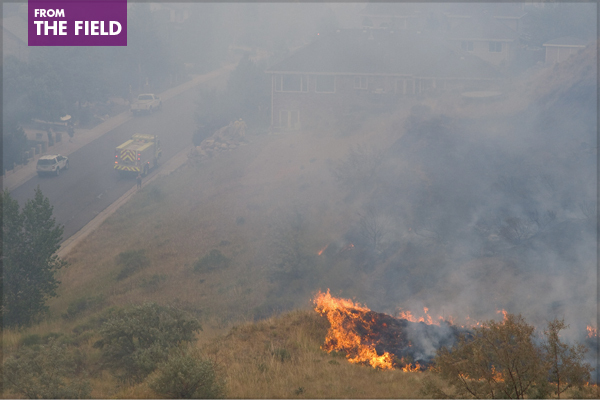 Earlier this month, a report on the National Cohesive Fire Management Strategy was released, the result of a three-phase planning and analysis effort to examine and address the complexities of wildland fire management issues. Initiated in 2009 as part of the Federal Land Assistance, Management, and Enhancement Act (FLAME Act), the report was developed collaboratively by federal, state, tribal, and local community partners, and public stakeholders, to outline national and regional approaches for effectively restoring forested landscapes, preparing for the increasing effects of climate change, and minimizing destructive wildfires in the future. 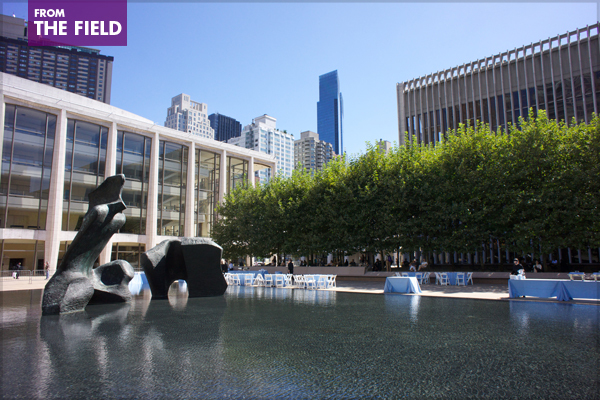 Lincoln Center’s Barclay Capital Grove, installed in a Silva Cell system in 2008, in summer 2013. This article on suspended pavement, by Leda Marritz, ISA, of DeepRoot Green Infrastructure, is based on a comprehensive, multi-year literature search she conducted for the blog Green Infrastructure for Your Community. Green Infrastructure for Your Community addresses topics related to trees, soils, and stormwater in the built environment. Leda has written, edited, and run the blog, producing hundreds of articles in the past 4 years. I am very pleased to introduce Leda to write a blog post for The Field. When we talk about low-impact development and design today, the term “suspended pavement” comes up a lot, but it occurred to me recently that this term is rarely defined. Here is my attempt to do that by walking through suspended pavement’s history, uses, composition, and case studies. Suspended pavement (also known as cantilevered sidewalks) is a general term for any technology that supports the weight of paving and creates a subsurface void space that is filled with soil for root growth. The soil that is used to fill the system can either be native, from the excavation area itself (if appropriate), or a specified mix. In this respect, suspended pavements are essentially soil-delivery systems, creating a rooting area composed of lightly compacted, high-quality soils for tree roots in cities and other heavily paved environments. In addition to aiding urban tree growth, the soil can also be used for on-site stormwater management, maintaining pre-development hydrology, minimizing non-point source pollution and flooding, and recharging watersheds. 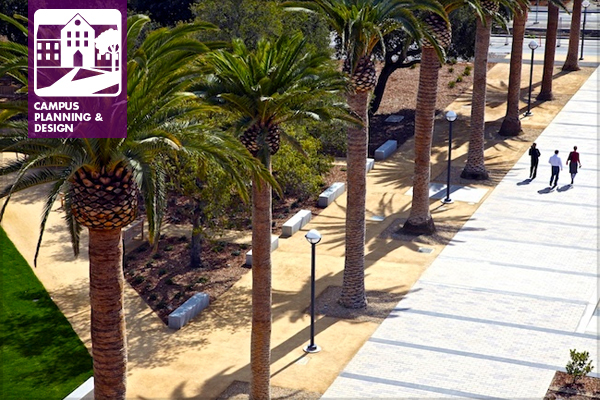 Suspended pavements are ideal low-impact development design solutions for the long term co-existence of trees and streets, parking lots/lanes, roofs, promenades, plazas, green walls, and light-rail platforms. This month, James Hughes joins me as Co-Chair of the Residential Landscape Architecture Professional Practice Network. James and I met, albeit virtually, after a letter I sent to our members about issues the Residential PPN hoped to address in the coming year. As you will soon realize, James has a sophisticated and seasoned approach to managing Trouble Clients. He also brings energy and creativity to the PPN. This November in Denver, James will lead the Annual Residential PPN Meeting and I hope many of our members can attend so we can set the agenda for more topics to investigate. 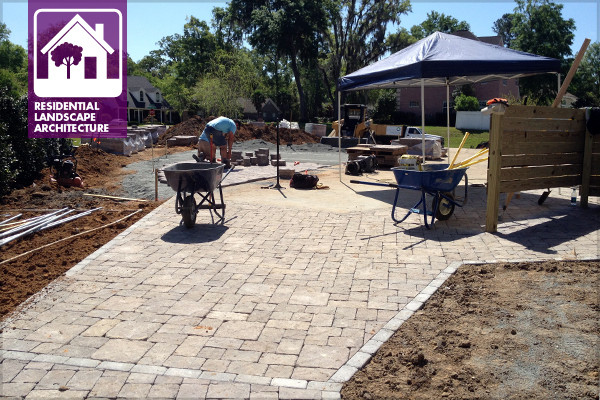 James is the principal of his own firm, James Hughes Landscaping, in Tallahassee, Florida. If you’ve been in the business for more than 5 minutes, then chances are they’ve already made you question your passion and commitment. We’re talking about Trouble Clients. These are the clients that can never seem to be happy. As soon as you’ve addressed one issue and resolved it, they immediately shift to something else that makes them less than satisfied. Maybe they micromanage you, or perhaps look for technicalities they feel keep them from paying your invoices. Whatever the situation, Trouble Clients are a very real thing, and dealing with them is truly a skill set any professional should possess. While client satisfaction is most definitely a high priority, there is a fine line between pleasing a client and protecting your reputation and sanity. I’ve spoken about Trouble Clients with several professionals, and have come up with a few suggestions on how to navigate these troubled waters. How Green is Your Sport Field Grass? Sustainability experts typically agree on two measures for high performance sport fields: total fresh water saved, and net reduction in carbon footprint with all factors considered over the life cycle of the sports field. So, what are the water conservation features for synthetic surface sport fields, and what other factors determine how green your sport field grass is? 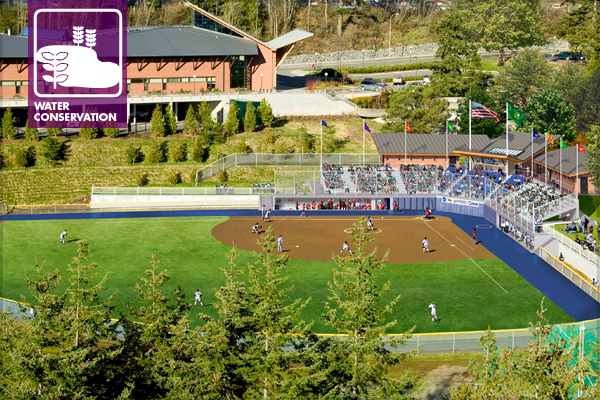 Before outlining features and factors to consider, we’ll take a look at a project at Western Washington University that is an example of a high performance sports field design with synthetic surface fields that are truly greener, including high performance for water conservation. 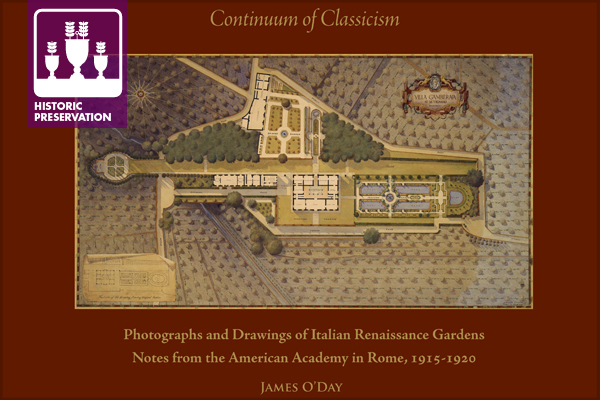 This post was originally published on Land8 with the title “The Power of Landscape Architecture on the American College Campus” on April 3, 2014. Landscape architects—and I include future ones in this group—seem obsessed with cities these days. Urban projects are all over the place at conferences and in design magazines, and even more predominate in related social media and the blogosphere, to the point that it makes me wonder if we all really just want to be urban designers. Of course there are legitimate and good reasons for this focus, such as the fact that more work is becoming available in cities as people migrate back from the suburbs, and high profile urban projects give landscape architects greater exposure on the media map. Even so, I do worry a little that this preoccupation with big city landscapes may limit the perspective of students and young professionals to just how vast and diverse this profession really is. Although I won’t address all the possible career paths for landscape architects here, I do want to point out a specific and important segment of landscape architecture that rarely gets much attention: the campus landscape. 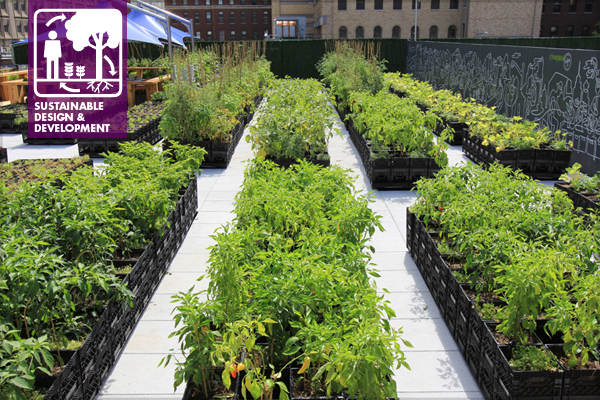 Riverpark Farm, located in a New York City neighborhood that previously had very limited access to fresh food, uses portable planters made from milk crates on a stalled building project site so it can move to its final location when the building is developed. Spring seems like a good time to visit the subject of landscape architects and urban agriculture, and April Philips, FASLA, has put her time and passion to work in this rapidly emerging field that supports the creation of more sustainable cities and communities. In addition to her practice, April has written a book on the subject titled: Designing Urban Agriculture: A Complete Guide to the Planning, Design, Construction, Maintenance, and Management of Edible Landscapes, published by John Wiley & Sons. After reading her interview in The Huffington Post last July—“The Urban Jungle: April Philips Has a Concrete Plan for Tasty City Landscapes”— I thought that SDD members would appreciate some follow up. From the research for your book, Designing Urban Agriculture, and your on-going work in designing and facilitating urban agriculture projects, have you learned anything that surprised or challenged you as a landscape architect? Simply put, food can become a platform from which we address other important elements of community, ecology, and livability, including the physical, social, economic, cultural, and environmental health of the city. Food is the gateway to the stakeholder conversations between city, community, and project developer or funder. It is also surprising how many edible projects and ideas are out there to learn from so there is still tremendous interest in delving deeper into this complex subject. 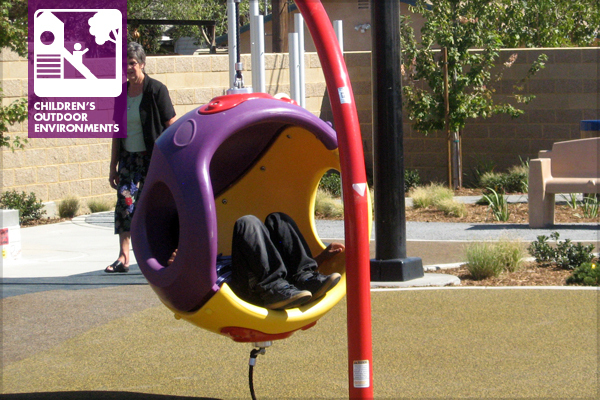 Perhaps one of the most misunderstood forms of play by society is the rest period between active play periods. Parents and teachers often misunderstand restful play and observation time as completion of the play period and force children back into cars, homes, and classrooms. As a father of three young children, I can relate to this and sometimes struggle with making a mental effort to pause and wait for just a moment to make sure that play has indeed reached an end. What adults perceive as an end to play is often a retreat from the sensory stimulation accumulated during the prior activity and a form of respite while a child self-regulates their emotions, body heat, and sensory intake. It is also often a time to take a step back and understand the environment from a cognitive and social perspective. This past weekend, I observed a four-year-old child at his birthday party. After jumping and bouncing non-stop in a large bounce house with a large group of children, sweaty and red-faced, he quickly distanced himself from the group. Several adults watched as he sought out and found a spot away from the bouncing and flailing of other children. The spot he chose was small, enclosed and intimate. It provided a spot where he could rest from the active and social events nearby, but still allowed him the option to observe safely while resting. He was obviously still actively engaged as he observed, moving his eyes and head back and forth as other children ran around in circles. Then without warning he was up and running around as if he had never stopped. Unbeknownst to him, he had just found his own “cozy spot” where he was able to self-regulate his physical, cognitive, sensory, and social inputs. Almost all older, heavily urbanized cities are facing a shortage of parkland and open space. As density and property values increase, cities are less likely to purchase large parcels of land for recreation. As a result, urban populations have fewer opportunities to exercise and socialize outside, which exacerbates chronic health issues such as asthma and obesity. The solution may lie in the creative strategy of utilizing lands owned by utility companies within the urban core. Anaheim, California, like most cities, is growing in density. Anaheim’s 820-acre Platinum Triangle is emerging as a high-density, mixed-use area that is replacing older industrial developments. The area is nestled between the SR-57 and I-5 freeways and surrounds Angel Stadium and the Honda Center, two of Orange County’s most prominent sports and entertainment venues. However, this high-density development has few opportunities for large scale recreation or nature parks. 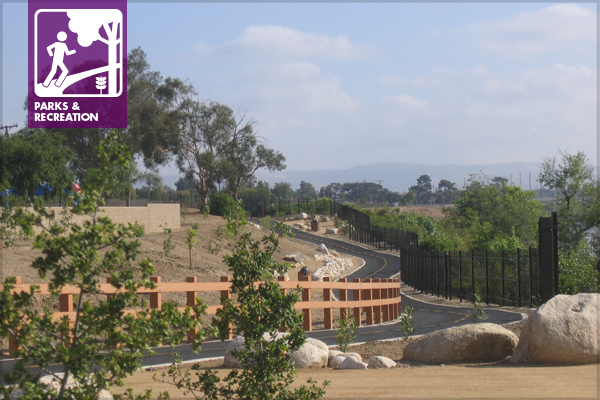 In the early 2000s, it was apparent that the City of Anaheim needed to find open space near the high-density Platinum Triangle that would provide a connection to nature and give residents and visitors a place for exercise. The City of Anaheim forged a creative partnership with the Orange County Water District (OCWD), the largest landowner in Anaheim and owner of Burris Basin, a 116-acre ground water replenishment facility on the west bank of the Santa Ana River only half a mile north of the Platinum Triangle.